PayPunch is a Biometric Time Clock & Attendance tracking system that replaces the typical time clock used to track employees attendance. Instead of employees punching a time-card, they simply insert their hand into the reader and enter their employee number. PayPunch does the rest! PayPunch ROI is absolutely outstanding and it can pay for itself in as little as 2-3 months. 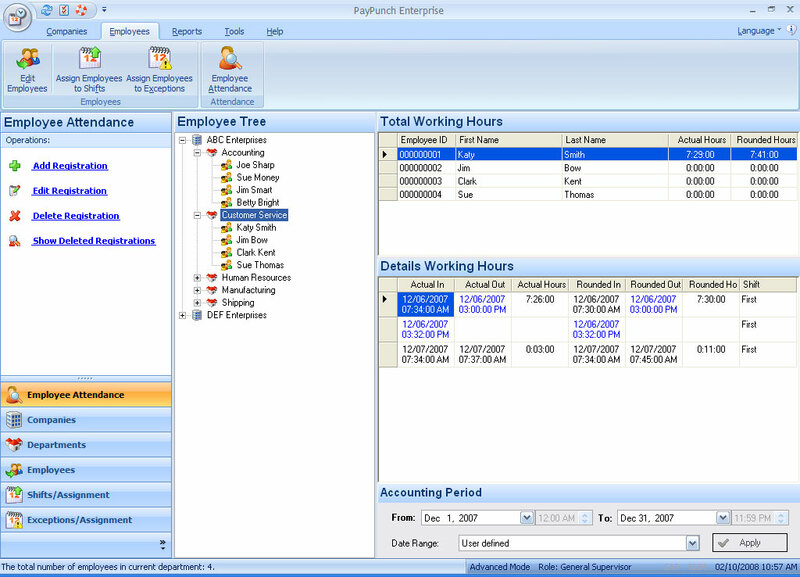 Accurately reports employee time/attendance to Payroll & HR . Qweas is providing links to PayPunch Lite 8.17.203 as a courtesy, and makes no representations regarding PayPunch Lite or any other applications or any information related thereto. Any questions, complaints or claims regarding this application PayPunch Lite 8.17.203 must be directed to the appropriate software vendor. You may click the publisher link of PayPunch Lite on the top of this page to get more details about the vendor.